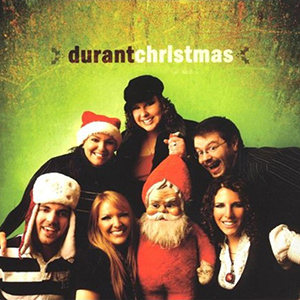 Durant returns with a follow-up to their successful debut album Ride with Durant Christmas. The newest generation of Acappella Company singers not only put their unique spin on some all-time Christmas favorites, they even throw in a couple of originals. “Bless Us All” is a wonderful group effort that brings us back to the true meaning of Christmas. “Just For Now” is another original with the signature Melissa Lancaster touch. Alongside these new songs, you’ll hear old standards with an upbeat and sometimes humorous touch – keep an ear open for the chipmunks. This is an album you’ll put in the player and hit repeat.